Make sure you remove all your personal information before you sell or trade your #iPhone in because if you don't, the consequences can be creepy and dangerous as one Ontario teenager discovered. AppleInsider recounts the tale, and shows you how to avoid the same fate. There are those of us who hang on to our old iPhones and build up a stash of them for no reason that we can quite justify. More often, though, we can see our outdated devices as being cash to put towards a new phone. When even a broken iPhone is worth something in trade, you have to be tempted. You should do it, too. Not only could you save some money but you're getting someone the opportunity to own a cheaper, used iPhone. Just don't give them anything else by accident. In the fall of 2017, Ontario teenager Natalie Hall's iPhone 5s had a shattered screen and appeared broken. She traded it in and got a $11 toward the price of a replacement. That's hardly a fortune, but it's money coming in rather than going out and it appeared to be for a phone that was truly useless. In mid-July, Hall got messages from a man including this piece of prose: "All data is in the phone your to sweet your sweet dogii pic and your friend your tooooo to sweet plz join friend ship with me." This man was in Dubai and had bought stocks of old iPhones. He continued to press Hall to add him on Facebook and when she wouldn't, he did it himself. Right there on this discarded, broken phone he went into her Facebook account and accepted his own friend request. "I was overwhelmed," Hall told CBC's Nicole Brockbank "It's creepy having your pictures and your contacts and your social media, text messages -- all of that kind of stuff -- out there with just a random stranger." She changed all her passwords. The man has since told CBC that he's sorry for disturbing her. He claims to have now wiped the data from her phone. Hall had no reason to suspect there could be a way to get her phone working again but now that you know, there are some emergency steps you can take. And, there are also precautions you can take when you ever sell on any iOS device. Even if you can't use your phone, you can safeguard your data. For instance, Apple does let you remotely wipe everything using Find My iPhone from another iOS device. That has to be enabled: if you've never switched on Find My iPhone or you've actively switched it off, you can't remote wipe. You can still do things such as changing your Apple ID password. Then if someone gets into your phone, they won't know that new one and won't be able to use, for instance, your Mail to send messages. If someone has access to your mail, they also have access to every bank account or store login they can find: every login offers to email you a replacement password. Similarly, you can go to icloud.com and remove your Apple Pay details, you can de-register iMessage from the device. This all helps but nothing is as good as completely wiping the iPhone before you hand it over in trade. For in-depth detail on how to wipe your phone you can check out our previous guide to it or check on Apple's latest advice. The short version in either case is that you should back up your phone and then take a few steps to completely wipe your data. That wiping part is simple: it's the backing up first that takes a bit more thought. You can backup your iPhone either to iCloud or by physically plugging it in to your Mac and telling iTunes to perform a complete backup. Unfortunately there are advantages and disadvantages to both. Backing up to iCloud is quicker. It's also very handy when you get your new device and everything can rapidly be restored onto it. However, an iCloud backup isn't complete. It's intended to safeguard what Apple thinks is your most important data, such as your photos, your account settings, documents and so on. It does not backup your apps. The logic is that you can always get those again from the App Store but sometimes you can't and always you have to re-enter your login details. So backup via iTunes. Plug your iPhone into your Mac, tell iTunes to make an encrypted backup, and let it take all the time it likes to copy everything over. Then also do an iCloud backup for convenience and speed. Finally, when you're sure it's all backed up, go wipe the phone. OpenSettings on your iPhone, sign out of iCloud, iTunes, Apple Music and the App Store. Then go to Settings and choose General, Reset, Erase All Content and Settings. Naturally your iPhone isn't going to just shrug and let you do all of that. it will ask if you're sure, it will ask for your Apple ID and password if it needs to switch off Find My iPhone. Soon, though, you reach the last Erase button. Now you can get a cloth and rub all those finger marks off the screen, you're ready to sell it on. I was thinking "or else" but "son" works too. I can’t really believe these people . Why not use a Passcode? I've seen seniors not use a passcode (and sometimes that makes sense for people with memory problems). It's very odd for a teenager though. I have to wonder if her parents insisted she not have a passcode so they could monitor her phone. We are an odd bunch. What moron would sell their iPhone 5S with a broken screen for $11? I mean, wow. 2015 called. It wants its article back. Well, if my phone dies and will not boot, I’ll smash it with a hammer and throw it in the garbage. Sorry, Earth. You can still do things such as changing your Apple ID password. Then if someone gets into your phone, they won't know that new one and won't be able to use, for instance, your Mail to send messages. Huh? This only makes sense if you use your iCloud mail as your primary mail account. Most people don’t. iTunes does not back up apps. ...so is there any risk on a warranty swap at the Apple Store for damage that may not effect memory yet prevents operating and wiping one's phone...? I believe you're mistaken about your first point. And on the second, at no point did William say that it did. This said, if you still have the .ipa file, you can drag it to the device in iTunes, and it will still restore the app to the device. Why would Mail which only accesses my IMAP account on my web server ask for my Apple ID password? This. My privacy is worth 100x eleven bucks at least. I would also pull out the nand and break it up. 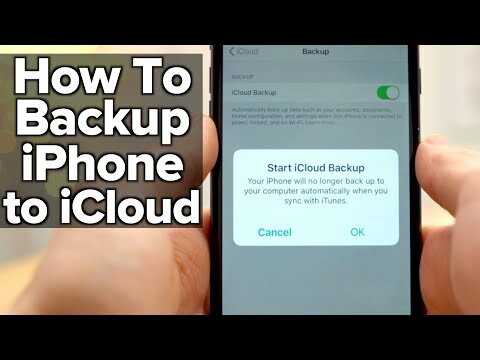 On the second, the way that the article is written implies that it does, because it comes after saying an icloud backup doesn’t back up apps, and follows it with “So backup with iTunes.” That sentence refers to what was written immediately before it, it’s completely natural to assume the “So” is saying “So because iTunes doesn’t have this iCloud shortcoming you should backup with it”. Only a complete idiot sells, trades, or throws away an iPhone without wiping it. Period. According to the article, the girl think the phone is dead.